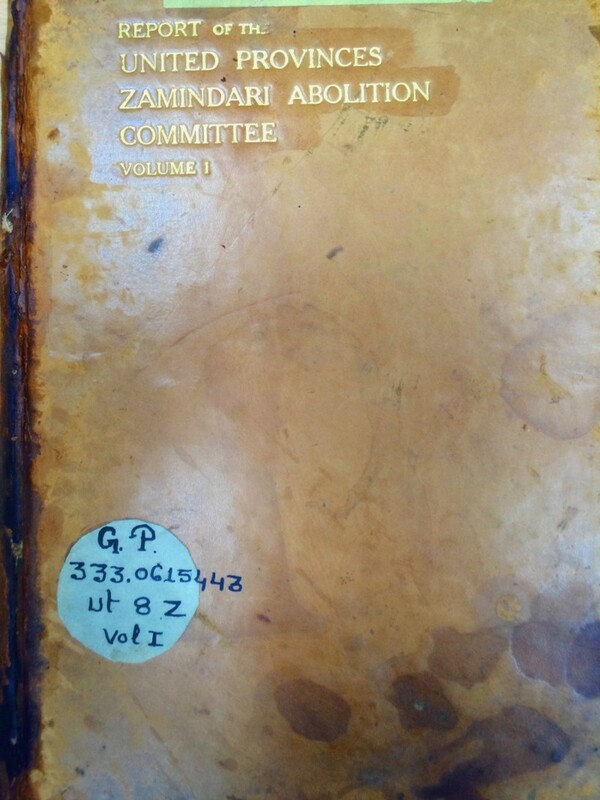 Helps write the "Report of the United Provinces Zamindari Abolition Committee", the landmark land reform legislation in Independent India. General Secretary, UP Legislature Congress Party until 1956. Participates in the Report of the United Provinces Zamindari Abolition Committee headed by the Chief Minister G.B. Pant, including Cabinet Minister for Revenue (Hukum Singh) as Vice-Chairman and Charan Singh as Parliamentary Secretary to the Premier. Writes a private 17-page dissenting note to the Premier Govind B Pant, who appoints him as Chairman of a Drafting Committee and thus re-drafts the Bill. He becomes the principal architect of the Bill, and subsequently the main defender against attacks from the right and left of the political spectrum. 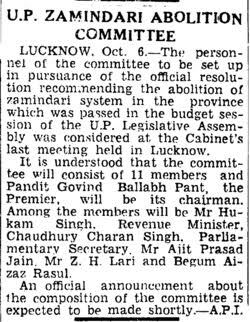 Publishes "Abolition of Zamindari in UP: Critics Answered." Land reforms eliminate the landlord as an intermediary between the state and the self-cultivating peasant and restructures society in a peaceful manner. The land on which the landed and the landless (Scheduled Castes or dalits), had built their homes was made over to millions of homeowners; the right of the landlord to ‘resume’ land was not given in UP (unlike most other states); and the nascent democratic structure of society was strengthened by making millions of peasants allies of the State. The issue of the landless rural poor remains a burning issue.